Why do so many people consume healthy smoothies on a regular basis? I have my own reasons, but thought it would be fun and helpful for others to collect all of the more popular reasons into one spot. Initially, I planned on covering the top 10 reasons, but once I got going I realized 10 wouldn’t do justice to healthy smoothies. While many of the reasons below are associated with a particular health benefit, several others made the list. 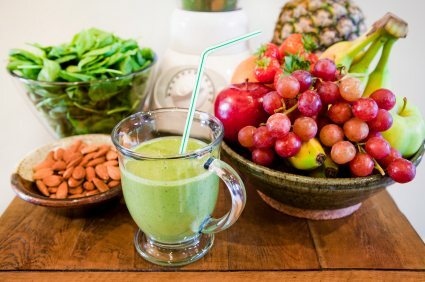 After reading this I think you’ll be convinced that developing the habit of making healthy smoothies on a daily basis is an excellent investment of your time and money. Meal flexibility. You can consume a smoothie at any meal, not just breakfast. No time for lunch, grab or make a quick smoothie. Fun! Many people including myself find creating smoothies to be rather enjoyable. You can think of yourself as a modern day alchemist mixing and matching various smoothie ingredients. 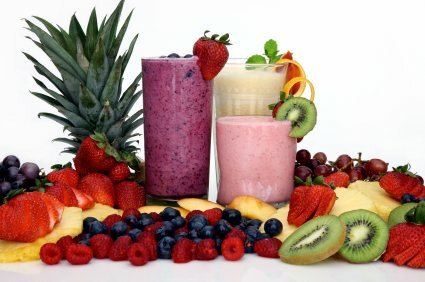 As you are now aware, routinely consuming healthy smoothies is beneficial for a number of reasons. This habit has personally helped me tremendously on my own journey to better health. What benefits have you experienced from healthy smoothie consumption? This list is not exhaustive. If there are any reasons you consume smoothies that aren’t included above, I’d love to hear them in the comments below. Nice! Been looking for info like this, thanks for posting. 1. Blueberries, banana, kiwi, flaxseeds and unsweetenead almond milk. 2. Banana, kiwi, cucumber, spinach, flax seeds, same almond milk. 3. Banana, mango, blueberries, flaxseeds, nuts and same almond milk. Any recommendations for other healthy smoothies that can also serve as detox? I am a vegan. How many smoothies do you drink a day? I recommend one smoothie a day, typically for breakfast, and two regular meals. I love your news letter !!! Thanks for leaving a comment and letting me know you like the information in my newsletter. Can u just have Smoothies to lose weight? Hi Sherry, sure you can drink smoothies to lose weight, but you will likely experience other health benefits as well. Thanks for the smoothie info and recipe ideas. I’ve been a smoothie maker for some time and feel great!! I do one a day and my hair and nails have never looked better. Weight is under control and I hardly ever get sick!! Fruits and veggies galore!! Keep those ideas coming! Awesome, JoAnne! Hearing that you’re thriving on smoothies is music to my ears. Keep up the healthy habit, and keep feeling great! Thank you for the kind comment. It really means a lot considering the time and effort I’ve put into this smoothie site. This is information that needs to be shared far and wide so everyone can benefit. Good luck taking your health to the next level with smoothies! I have been having fruit smoothies almost every day for the last two years for breakfast. I used to experience bad cramps in my feet and legs at night but hardly ever experience that now. I’d say that’s a great smoothie success story, Anna. Now let’s get rid of those cramps for good with even healthier smoothies. Cheers, Ryan. I decided to use smoothies to transition away from diet and carbonated drinks. After watching a program showing aspertame is proven to put women at risk for cardiac arrest I needed to do something to help me stay away from these beverages. I just take the money I would have bought soda and purchase fruit, vegetables, and spices. My body thanks me and I am more satisfied after meals instead of looking for something it thinks I have missed. I loved this list. I was drinking my smoothie as I read this. I am not a huge fan of fruits and vedgies, even though I should eat them. So smoothies is a great and enjoyable way for me to get the vitamins and nutrients. Thanks for writing this, got me really excited to make smoothies every day. I wasn’t a very big fan of most fruits and veggies either which is why I turned to juicing and smoothies. After a while my taste buds changed and now I love most produce. Good luck with your daily smoothies! Thanks for the kind words, Sonni. You’re welcome. It’s always nice to hear when another person jumps on the healthy smoothie train :) Good luck with your smoothies and reaching your health goals! 1. A full Avocado, a good handful of Cashew Nuts, Spinach, Coconut Milk, Pineapple juice and top up with water or that bad boy will get pretty thick! You’ll end up with a green powerhouse smoothie! 2. Mixed green leaves of your choice, Carrot, a Persimmon, an Apple a handful Pecan Nuts, Pineapple juice and water. The second one sounds a bit weird and goes an orangy brown colour but trust me get the ratios right and it’s delicious and nutritious with the persimmon and apple flavours outweighing the veg combo. Anyhow that’s my 2 cents and if you are training these make perfect alternatives to the all to easily available sandwiches and baked temptations for a good lunch or an after workout pick you up. That’s one of the main things I try to convey – have fun and experiment while crafting smoothies that address your own unique personal health goals. The benefits can be pretty profound. Your first recipe is right up my alley. I’ll have to try the second recipe. I’m definitely intrigued. I put in water blueberries, blackberries, strawberries, green and red grapes. Is it healthy for me? What about sugar? I’m concerned regards sugar. I’m wanting to lose weight and have a flat belly? Hi Ryan what a fantastic site .. No hidden cost valuable information always , I always look forward to your news letter … I am smoothing after a bad start ….was about to give up because my smoothies tasted awful … You promptly send me an e- mail and told me to start simple and I did with great success . My next question is do you need a juicer as well as a blender regards Helen . Thanks for the kind words. Nice to hear you’re finding success with your smoothies. A juicer is not needed for making smoothies. Either yogurt or nondairy almond milk. Your ingredients are all good, but in combination result in a pretty sugary smoothie. This is still healthier than what most people eat for breakfast. I would ease back and only use 1 tangerine and 1 kiwi. Coconut oil or avocado are the ingredients I would look to add next. Chia seeds are great too. Hi Ryan. Loving your website. Could you suggest a refreshing smoothie I could make to consume when I’m preparing evening meal. I usually get the urge for a glass of wine and I’d love a non alcoholic alternative. That request is a first, but a good one. The most recent recipe I posted is worth a try. If you don’t want as much bulk or calories simply omit the avocado. Thanks for your smoothie recipes. I tried the first one and found it very refreshing but added some maple syrup to make it less acidic and sweeter. I will try the second one soon. Many thanks. I been doing green smoothie for 3 years. I lost over 60lbs and feel great. I live with MS everyday. I workout at the gym 4 days a week. Green smoothies is the way to go. I never get sick. Music to my ears, Denise :) Keep it up! I just started doing smoothies a month ago and am already seeing improvements in my overall eating habits as well as my energy level. I drink them on a daily basis and find that my desire for sweets and fried foods is diminishing. I like being able to blend my favorite fruits with my not so favorite vegetables to make a very satisfying drink that keeps me going all day ! Music to my ears, Michelle :) Keep on rocking those healthy smoothies! Could you please suggest me a weight gain smoothi as I need it. Thanks. Lilani…. I just started making fruit smoothies to get healthy as well as loose weight….this was a wonderful read!! Thank you and am looking forward to many new recipes and ideas!! You’re welcome, Nancy. Welcome aboard the healthy smoothie train! Good luck and enjoy, Stella. My name is Karla and I am new to your site. I can currently attempting to do the 10 smoothie cleanse, and other than my overwhelming desire to eat a bag of chips I am doing OK on day 2. My question is, my husband and I do not eat vegetables much at all and I would like to know what type of smoothie would be good to drink everyday to at least get our servings of vegetables and fruit everyday. Also, is it ok to double the ingredients and put them in one blender for the both of us? Or should I just make it twice? Last, he is adamant about eating breakfast in the morning so my last question is can we drink the smoothie and not skip a meal? For example to drink before lunch or after to hold us over until dinner or whatever meal. Thank you again, I look forward to continuing to read your articles and learn more about making my home a little more healthy. Thanks! 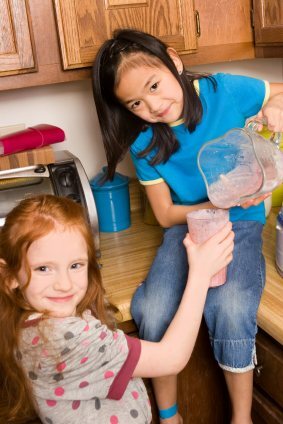 What types of smoothies to drink everyday to get adequate servings of fruits and veggies? The majority of my recipes fit that bill. There’s over 200 on my site. Browse by category or ingredient and start with a few that call to you. You’ll likely gravitate towards certain ingredients and make your smoothies around those. Like I have with avocado, chia seeds, and cacao. Sure you can double the ingredients and make two servings at once. Yes, you can have your smoothie in-between meals. However, make sure to consume them on an empty stomach. Some of my smoothies are pretty dense and you might find you can replace a meal with them. Thank you so much! If you want a healthy life then you should take healthy food. It helps you to make your digestive system better and improve your health. You’re welcome and totally agree, Melissa. Thank you so much for the article, I have started working out and I drink smoothies regulary and I can see the difference. My tummy is getting smaller,I haven’t been sick since I started. You’re welcome, Oyama! Here’s to continued smoothie success! When did you publish this website? I created the site in 2011 and have been publishing content regularly ever since. I thought it was interesting how the article mentions that consuming smoothies can help improve your digestion. I feel like I’ve been having some digestive issues lately, so would you recommend blending at least one meal a day in order to reap the benefits of improved digestion? And would using a superfood smoothie mix bring the same benefits as listed in the rest of the article? I found this post very helpful. This is such a fun site, I would subscribe to your newsletter! My smoothie combination: apples (green or red), pear, grapes, pineapple, watermelon, bananas and sometimes a little soya milk. Also, do you recommend sieving after blending? If you like my site I think you’ll enjoy my newsletter too. I bet your smoothie is delicious. However, it’s a little high in sugary fruit. Maybe substitute avocado for the banana. You could also incorporate a little coconut oil for healthy fats and to slow down sugar assimilation. I don’t recommend sieving after blending – you want all that good fiber. I would reduce the sugary fruits. I need to loose weight and curb frequent hunger. Yes, that recipe sounds great, Denise! Can a smoothie a day help increase sodium levels ? Great health benefit of smoothiee. Hello! My smoothie is an acai protein power purée pack (90 cal and 5g sugar) with 1/2 cup raspedberries, 1 cup almond Milk, and half a banana. What are your thoughts on this? Is it too sugary or is it perfect for an everyday breakfast? Your smoothie is a bit high in sugar, Lucy. I would remove the banana and use 1/2 avocado instead. What year was this article published? It was published in 2012, Jennifer.